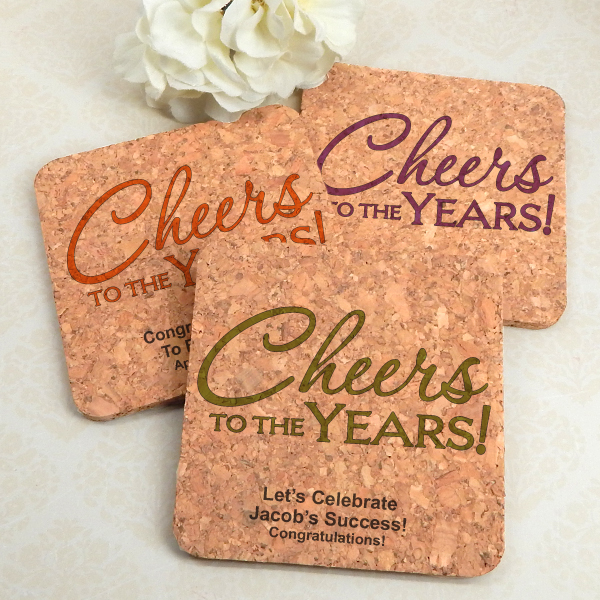 These versatile custom cork coasters can be used for so many occassions from an anniversary or birthday party to a retirement celebration. 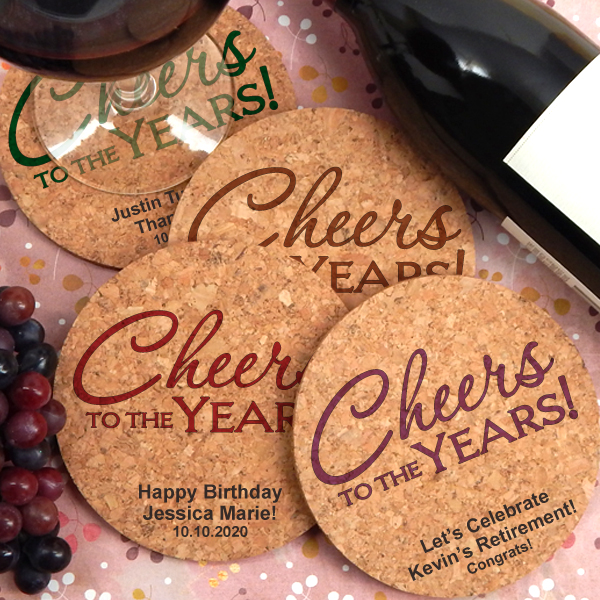 With the words "Cheers to the Years" on each one, you can personalize the bottom with a message of your choice. Eco friendly and all natural, these coasters are great at absorbing moisture and protecting furniture. 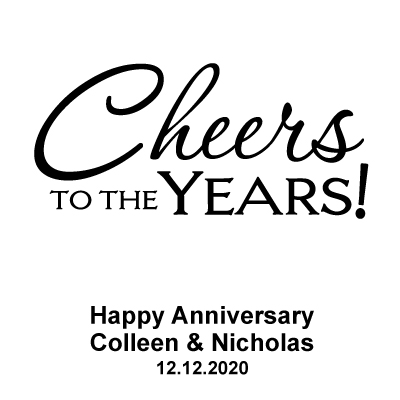 That's why they make such a great party favor. The may also vary in color and thickness. Measuring 4”, you can select from a square or a round shape.